REHAU delivers “Unlimited Polymer Solutions,” and is the premium worldwide brand for polymer-based innovations and systems in construction, automotive and industrial applications. 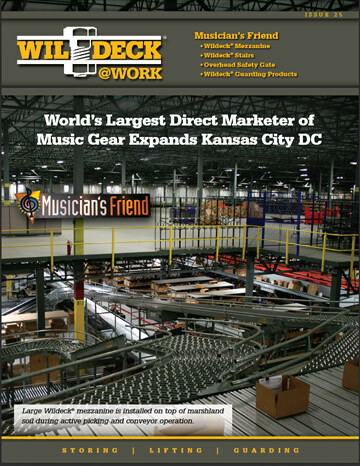 Approximately 15,000 employees at 170 locations around the world ensure the success of this independent, privately-held company. REHAU, founded in 1948, approaches the future by focusing on medium and long-term goals rather than on short-term profits. The company generates continuous growth through its expertise and innovative capabilities in materials development, systems design and surface technology. REHAU’s Cullman, Alabama manufacturing facility produces products for the construction and automotive segments. To reach their long-term goals, the facility needed an addition to double the capacity for production of cross-linked polyethylene piping (PEX). 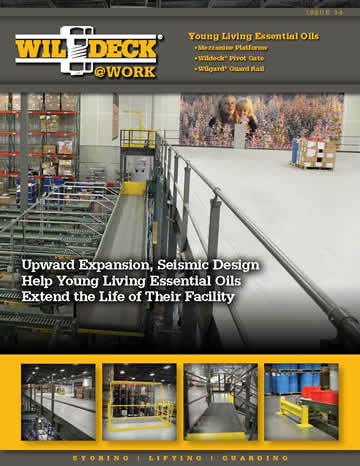 The expansion provides for PEX production, warehousing and shipping. 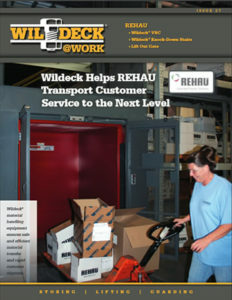 To prepare the pick module solution for REHAU, Wildeck Representative Sheri Hayne of Engineered Products worked closely with Wildeck Outside Regional Sales Manager, Brad Lehman. “Brad came to our office, asked a few key questions, and recommended two viable solutions for REHAU. 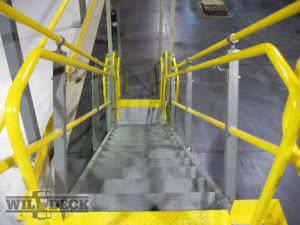 Wildeck and Engineered Products took the time to understand the particular needs of our application, which gave us the flexibility to present multiple solutions to meet the specific requirements,” says Sheri. REHAU moved quickly to get the addition up and running. The total project took just eleven months and included a high bay structure and pick module to accommodate the current and future needs of REHAU customers. 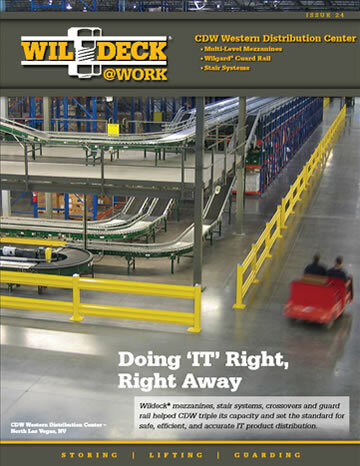 The Wildeck ® VRC is vital to the successful operation of the pick module. Pick module finger picking occurs upstairs and box picking downstairs. 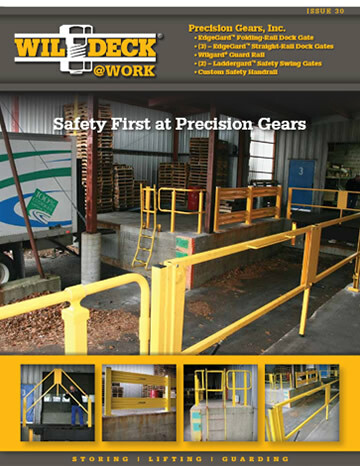 Pallets of product are located in a different section of the facility. With the pick module set up for quick turnaround, it is extremely important to keep all items stocked and well organized. “The VRC has worked very well for us to separate finger and case picking,” explains Bruce. 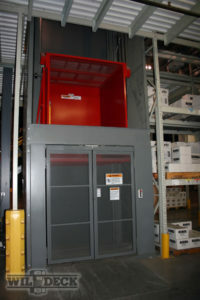 “The lift moves stocking items up and brings down packed boxes ready for shipment. By separating the two, we do not need to tie up a forklift to reach higher items.